High quality, very fine moxa. Easy to shape into cones or for use on needles and direct moxibustion. 100g. Each roll is 21.0cm x 1.9cm and contains loosely packed moxa and herbs. Recommended for use in conjunction with chronic ailments. Distinguishing aroma produces a relaxing effect. Burns at a rate of 8.7cm per hour. 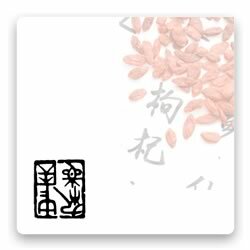 Each roll is 2.0cm x 21.0cm and contains loosely packed pure moxa for general moxibustion. Burns at approx 9.00cm per hour. Each roll is 20cm x 1.9cm and contains medicated moxa blended with several natural herbs. Recommended for use in conjunction with acute conditions. Burns at a rate of 12 cm per hour.